EU Trade Commissioner Cecilia Malmström came under fire from Nigeria on Tuesday (24 January) over the state of the bloc’s Economic Partnership Agreements with the developing world. Malmström, author and proponent of the EU’s new ‘ethical’ ‘Fair Trade for All’ policy, was speaking at an event for ActionAid and the European Trade Union Syndicat in Brussels, where she was confronted by a call from the Nigerian Charge d’Affaires to renegotiate the EPA. The EPAs are reciprocal trade agreements with the African, Caribbean and Pacific (ACP) nations, intended to give the developing world largely tariff-free access to the EU single market, in return for slowly opening up their own domestic markets. 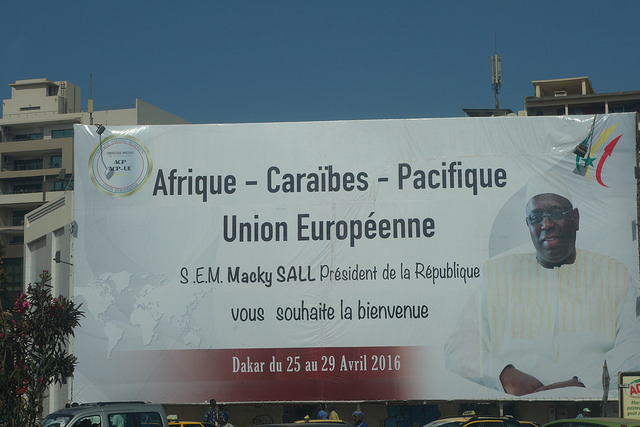 First created in the 1970s under the Lome Agreement, and updated in 2000 in Cotonou, the talks are currently seemingly stuck in a quagmire, with no date or location set for the signing of the so-called Post-Cotonou Agreement, when it expires in 2020. 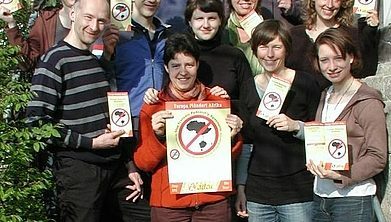 Many of the more radical NGOs have criticised the form the EPAs have taken, and there was serious disquiet, as reported by euractiv.com last year, at the previous EU-ACP trade meeting in Dakar, Senegal. And he added: “During the last ACP trade ministers’ meeting, I remember I complained to DG Trade, where the same issues were discussed. “But the DG Trade told us, I’m sorry, I have to say it, she [Malmström] told us… that there will be no room for a renegotiation of the EPA. We will either assent to it, or there’ll be no [deal],” he said. He continued, acknowledging other neighbouring West African countries had already signed the EPAs. “Agreed, some countries and regional groups before us have signed, and we have nothing against that, they used their sovereign rights. But, as it is said, ‘a sovereign is bound by his own action and it cannot extend to another country’. That was why even though the EPA agreement was aimed at creating jobs, which in line with our own policy, we feared that since we have the raw products why don’t the EU encourage their fellow investors to go there and start [investing]? “So what we are saying is the market is there, the space is there, you can always go there [Nigeria] and start off your business, tax-free for the first five years, and depending on what you do, you can even get other investors for it. It will be a win for the investor, a win for the country and for the world at large. Malmström replied that “13 countries in West Africa have already signed up to these Partnership Agreements, and they are hoping for it to enter into force as soon as possible. “So starting to renegotiate it all now, because Nigeria has a few problems, is not possible. Malmström, generally seen as one of the stronger Commissioners, who has made the brief her own, also faced criticism from Nuria Molina, of the Global Social Justice NGO, who pointed out the EPAs were generally negotiated from a position of “amazing asymmetry”, where the “weaker sometimes get hurt”. Molina pointed out Western industrialised nations had largely built up their economic power through the 18th and 19th centuries through protecting their own industries as they “moved up the value chain”. Why are EPAs taking so long to get off the ground? Fourteen long years after EPA negotiations were launched, Dr Merran Hulse looks back at the process to examine some of the broad trends contributing to the drawn-out nature of the negotiations, and the remaining obstacles to signature and ratification. Separately from the question of ostensibly ‘benevolent’ EPAs with the ACP countries, Thao Hoang Phuong, director of ActionAid, criticised the ‘aid for trade’ model of the EU’s Free Trade Agreements (FTAs) with middle-income countries such as Vietnam. Phuong said such FTAs create environmental damage, and a “further deregulation of labour standards”, claiming that outside Ho Chi Minh city, only 60% of minimum wage earners were paid the mandated health and social insurance by their employers. 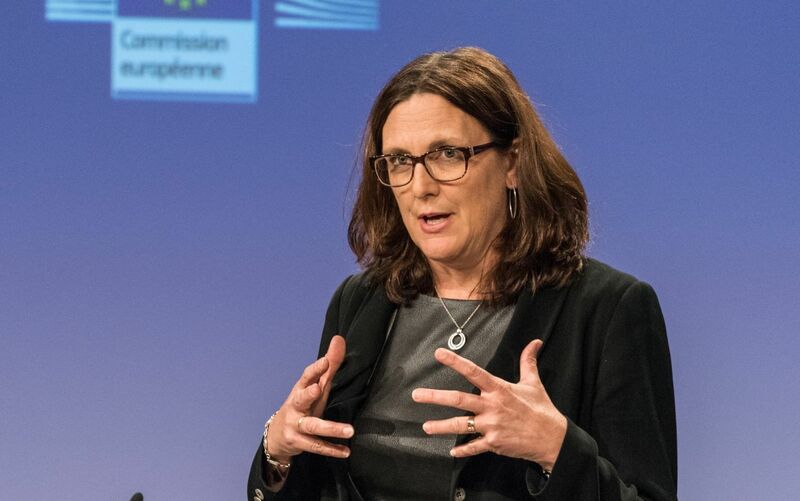 Malmström replied that the distribution of wealth within a country was a role of that sovereign country, and that although there were no ‘sanctions’ applied if FTAs were not implemented and enforced, the ultimate “extreme” was that an FTA could be ended. No one with common sense will not invest in Nigeria. Nigeria is most corrupted state in the world. There are so many bureaucrat obstacles to do bussines in Nigeria e.g net profit tax 30%, long custom process, not possible to impot anything in Nigeria if you do not pay special certificate called SONCAP that product is made according standards etc.